Following its lightning offensive in northern Iraq in early June, resulting in the capture of Iraq’s second city Mosul, the group styling itself as the “Islamic State” declared the establishment of a Caliphate in areas it controls in Iraq and Syria. Despite the unpopularity of the group, and the near-universal dismissal of their declaration as empty and bogus, the nominal re-establishment of the Caliphate after a century-long hiatus has touched off a flurry of intense media interest on the subject. Reza Pankhurst is an academic and author. His latest book, The Inevitable Caliphate? (2013), is published by Hurst and Oxford University Press. He is a member of the political party Hizb ut-Tahrir. Reza Pankhurst (© 2014 Hodan Yusuf). Mahan Abedin – The Islamic State of Iraq and the Sham – now known simply as the Islamic State (IS) – has declared a Khilafa (Caliphate) on captured territory in Syria and Iraq. What is the main motivation behind this declaration? Reza Pankhurst – A reading of the declaration would suggest that the main motivations are two-fold, namely regional and international. Regionally, the statement can be read in relation to intra-group rivalry between IS and other armed groups present on the ground in Iraq and Syria, in particular groups who may broadly be identified as “salafi-jihadi” such as Jabhat al-Nusra, who were once part of the same grouping under al-Qaeda. In The Inevitable Caliphate? I discuss how al-Qaeda’s use of the caliphate in their discourse shows that it was not considered a unique, practical and detailed political structure and programme but was instead used as a unifying symbol. Though IS differed with the al-Qaeda leadership on the priority of establishing a formal state, I believe that the same consideration can be applied to them. The statement is claiming leadership and legitimacy for IS, witnessed by the call within the statement for other leaderships to disband and unite under the newly established caliphate. In doing so the group is also providing itself with further religious justification to attack other factions under the claim that they are now the “Islamic state” and therefore any other faction refusing its authority could be considered “rebels”. Internationally, it is clear that this challenges the legitimacy of the central al-Qaeda leadership, and in effect is trying to usurp ideological leadership through showing gains on the ground and practical results via their purported state-building project. At the same time, when analysing the actions of IS in the region, their declaration has to be read within the geopolitical context irrespective of individual intentions. There has been a long-standing plan to try to divide Iraq into separate regions (Kurdish, Sunni and Shia) which would allow for easier manipulation and control by international powers; the actions of IS have played into this agenda and we can see it progressing as we speak. With respect to Syria – despite words of support for the anti-Assad rebels, along with non-lethal aid – influential American voices are on record as stating that the best outcome for American interests in the conflict is stalemate (for example – Daniel Pipes two essays “Support Assad” and “Support the Syrian Rebels”). Again, the rising profile of IS and its engagement in Syria which has mainly been against other rebels is one of the factors that stalled the uprisings. Therefore, any analysis of the IS declaration has to take sufficient stock of the political context and the role that IS is playing in the region at this time, irrespective of the individual intentions of its members. Mahan Abedin – From a purely political standpoint, to what extent is this declaration credible and viable? Reza Pankhurst – Despite IS’s gains, it has a tenuous hold on a large swathe of land stretching from Eastern Syria through to Iraq. It took Mosul with a small force as a result of the withdrawal of the Iraqi army. Though it has recently been involved in a few battles against Syrian forces, most of the land it controls in Syria was originally taken off other militant groups who had previously ejected the regime from the area. Therefore, from a security perspective, it is not a credible declaration given their forces number no more than 20,000 according to highest estimates. This force numbers less than the combined size of the Kuwaiti and Qatari militaries, without vital capability required for the defence of a modern state such as conventional air defence and force – and yet it is claimed that the group has established a state it is capable of defending which has a land mass greater than France. This is particularly the case when their declaration makes it clear that it was an act carried out independently and without reference or recourse to anyone external to IS, meaning that even other groupings in Iraq who were leading the protests against the Maliki government have not been involved and yet control land and other elements of this proclaimed state. While there is support for the removal of Maliki’s authority in these areas after years of tension with the Sunni population there, the lack of a reaction against IS is connected to the lack of any final resolution in the conflict against the Maliki leadership rather than contentment or acceptance of IS leadership in its place. Many of the influential tribal leaders, such as Hatem al-Suleiman and Fayez al-Shwoush (head of the Tribal Military Council, as well as other influential groupings such as the Association of Muslim Scholars and the Islamic Army of Iraq (headed by Ahmad Dabbash) renounce IS’s claims and believe that their current gains have been made on the back of a popular uprising in which they played a marginal role if any. Additionally, to announce the establishment of a state, obviously necessitates control of that state. As an example, reports from Mosul indicate that the Iraqi government has cut power, water and other vital utilities to the city. In other words, these areas remain war-zones, where authority can change on a regular basis as has been witnessed in Syria over the last few years. Mahan Abedin – To what extent can IS hope to convince like-minded groups in Syria and Iraq to fall behind this declaration? Reza Pankhurst – The week following the statement proved that any such hope would have been forlorn – all of the major figures in the region that could be connected to the declaration – whether other militant organisations, Islamic scholars or parties concerned with the re-establishment of the caliphate rejected the declaration as void for numerous reasons. I very much doubt that IS believed they would win over other leaderships through this declaration, and indeed their statement alludes to this fact. They recognised that this challenge would cause the rift between them and the other elements in Syria to be further widened. It is more likely that this was a calculated decision to strengthen internally, win over some like-minded individual elements from other groups and project legitimacy and leadership over and above other militant groupings. It is worth mentioning some related news – there was previously an organisation called Jama’at al-Muslimin (Society of Muslims) which emerged after the conflict in Afghanistan against the Russians who believed that it was obligatory to appoint a Khalifa even if he was not a leader of a state. In other words to appoint a Khalifa even if in reality there was no Khilafa. This is not the only group to believe in such ideas, another famous example being Hilafet Devlati and the so-called “caliph of Cologne”. The person who was appointed the leader of this group – one Abu Easa Muhammad Ali al-Rifai al-Husaini – was a resident in the UK. One of the main religious authority of the group – Abu Umar al-Kuwaiti – moved to Syria during the uprisings where he formed a militia which was initially called “Jund al-Khilafa” (Army of Caliphate) before being re-entitled “Jama’at al-Muslimin” (in line with the group name). It was reported that Abu Umar travelled to Iraq to meet with Abu Bakr al-Baghdadi last year, delivering a message from Abu Easa (referred to as Amir al-Muminin – the leader of the believers, addressing al-Baghdadi as Amir of the Islamic state of Iraq and Sham) to discuss their ideas and to unite their groups. Abu Easa – the Khalifa according to Jama’at al-Muslimin – passed away earlier this year in the UK, though in any case there were apparently schisms within the movement in the last year or two. After IS declared the establishment of their “caliphate,” Abu Umar al-Kuwaiti pledged his allegiance to the IS caliph. Mahan Abedin – How do you assess/estimate the global appeal of IS’s declaration? Reza Pankhurst – Today there is a popular appeal for the idea of caliphate – the concept of a united Muslim leadership which would lead by Islam – and you can find supporters of this across the Muslim world and beyond. This is highlighted by polls such as the world public opinion poll undertaken by University of Maryland in 2007 which found that majorities across four major Muslim-majority countries supported both the strict application of Sharia law as well as uniting Muslim nations into a single state, or caliphate. Observing the statements of influential Islamic leaders and thinkers after the uprisings in 2011, several in Egypt, Tunisia, Yemen and elsewhere talked about the desire to establish a caliphate. These were not restricted to any particular group, with even some of the leaders of the most liberal leaning groups such as an-Nahda in Tunisia making these statements. The idea is attractive from both the Islamic perspective, and holds additional attraction as an alternative to the current leaderships and manufactured states that the region has witnessed for the past century. As a result there is a ready audience for such a declaration. This is why that while there is no doubt that a few sincere individuals will be swayed by the announcement, particularly with their proclaimed victories on the ground and efforts to organise basic services in some of the areas they exercise nominal control. These people may remain convinced until IS suffers military set-backs which expose its claim to being a viable state-building project, as at the moment any credibility and support it has is largely based around the image it portrays as a viable military force. Alternatively, if it continues to progress militarily, winning further battles against Syrian regime forces as has been the case recently, its support will continue to grow and a more likely end to it would be if internal divisions flare up at some point. In view of the group’s history, methodology and outlook, this scenario cannot be ruled out. Another scenario could be some form of reconciliation between IS and other groups operating against Assad, but this would require fundamental changes in IS’s views and approach. Despite their gains on the ground however, the vast majority of people have not taken the declaration seriously, for two main reasons. One is that IS has a poor reputation – known for their especially virulent stances against other Muslims extending from the Shia to fellow salafi-jihadi groupings such as Jabhat al-Nusra. Additionally, it is recognised that the majority of IS gains in Syria have previously been the result of infighting against other rebel groups rather than against the regime, and so they are also blamed for undermining the Syrian uprising and dividing Muslims while energy ought to be focused on removing the Bashar al-Assad regime. The second reason is that even if this militia force’s partial control over land in which it administers a semi-autonomous proto-state is accepted as a reality on the ground, nevertheless this is not comparable to the establishment of a state in the conventional meaning of the word. It is also very difficult to take a claim to a universal leadership over Muslims seriously when those making the declaration appear to declare anyone who is outside of their group or differs with them as either sinful, deviants or disbelievers. Such an approach is counterproductive to the concept of the caliphate, which is known as the general leadership to run the affairs of the Muslims collectively. Establishing a caliphate is a serious political undertaking, one which requires the uniting of the Muslims rather than the current divisiveness promoted and glorified by this group. Mahan Abedin – According to Islamic political theory and traditions, what conditions have to be fulfilled before the declaration of a state (Khilafa) can be considered both legitimate and viable? Reza Pankhurst – We can separate two issues, namely the conditions of the leader of the state (caliph / khalifa) and the conditions for establishing the state itself. With respect to the Islamic state, or Caliphate, or Imamate, or Sultanate – all of which are terms which can be used to refer to the same entity – the conditions for the establishment of an Islamic state are deduced from the actions of the Prophet Muhammad (peace be upon him). Specifically these are understood from when he approached various tribes in the Arabian Peninsula to lend him support to establish the first Islamic state which would have the Prophet as its leader. Viability would be assessed by applying those conditions to the extant geopolitical context, while the content of the state in terms of constitution, institutions and laws are analysed to assess its legitimacy. Viability is linked to the ability of the state to maintain its own internal and external security. This was understood by the statement of the Prophet, namely “the Deen (religion of God) is not established by those who cannot encompass it from all sides”, which was a rejection of the offer of the tribe of Bani Shaiban to establish Islam and support him with the condition that they were unable to confront the Persian Empire at the time. The legitimacy of an Islamic state is connected to its foundations – that it applies Islam comprehensively as a system of ruling, as detailed in the various books of Islamic political theory. This goes beyond the application of a few punishments that attract intense media attention, and actually guides how the state is structured and operated, at the economic, social and foreign policy levels. As of yet, despite the provision of a few basic services and their attempts to project statehood, there is not enough evidence that IS is capable of doing this, or indeed has any clear project for its “state” other than the current series of land-grabs. Mahan Abedin – To what extent (if any) has IS deviated from these customs and traditions? Reza Pankhurst – As mentioned previously, as a militia group they are not a viable state. There are differing reports regarding the application of law in areas under their nominal control, with many fabricated stories appearing intent on discrediting the group. At the same time when considering their confirmed actions, it is an affront to claim that their application of a few punishments as they interpret them (including their preference for executing and putting on public display the bodies of “apostates”, often a euphemism for members of other groups) is Islamic. This type of erratic behaviour, with reports ranging from arbitrary executions to excessive punishments for minor infractions (such as a claim they are threatening Mosul residents with 50 lashes if they fail to attend prayer in congregation), is counterproductive and potentially harmful to the image of Islamic law in the minds of the general public. Admittedly, this is not something that concerns IS alone. Mahan Abedin – What are the criteria for selecting a Khalifa (Caliph) and to what extent (if any) has IS deviated from this standard? Reza Pankhurst – Obviously absent the conditions for the establishment of a state, the appropriateness of the leader and manner of selection becomes irrelevant, but it is important these issues are detailed for the sake of engendering a better understanding among Muslims about their political roles and rights. In the Islamic political system the leadership derives its legitimacy through a contract which is conducted between the leader and those they would lead – which is known as the bay’a or pledge of allegiance. This contract has three elements – the leader, those who will give the pledge (the people – or those who represent the people, often termed as ahlul halli wal aqd – in the literature the people who bind and tie matters, meaning people of influence and power in a particular society – who collectively represent the will of that society and whose decisions are meaningful and widely accepted as authority) and the pledge between the two sides (the ruler should be obeyed so long as he rules by Islam). There are numerous qualifications for the leader in the literature, including being male, adult, just and so on. Conditions such as the candidate’s lineage being traced back to the Quraishi tribe are subject to dispute, with some scholars not considering it essential. The other side of the contract is the Umma (Muslim nation), or their representatives. Their conditions are fewer than that of the ruler; for example the Prophet took bay’a from women, so being male is not a condition. The final element that is important is consent, in that the normative element of legitimacy is that the appointment of the leader is confirmed by the consent of the people. This is something that is sometimes unrecognised due to issues such as historical practise where the title of caliph was often passed down in a hereditary manner despite a show being made of the pledge of allegiance, and also differing elements of Twelver Shi’ism as a result of its theological position that the Imamate is determined by revelation rather than choice. However, the mainstream normative position as understood from several evidences is that the opinion of the people should be sought. This could be through numerous means, including elections, soliciting the views of tribal leaders and so on – the point is that those giving the pledge should be representative of their people. This is exemplified by the example of the Prophet, in that when he sought support to establish a state, one of the tribes (Bani Amr bin Sa’sa’a) asked him whether they would inherit the ruling in the event they supported him and Islam, and as a result were victorious over others. The Prophet replied negatively stating “the issue belongs to Allah, He places it where He wills” meaning that there was no fixed succession. As a result they refused to support the Prophet. In view of these conditions and qualifications, there are vital absent elements (namely consultation and consent) which render the IS declaration null and void. The secretive and anonymous “shura council” that pledged allegiance to Abu Bakr al-Baghdadi cannot be considered representative of the Muslims in that area. Rather, in the context of the Iraqi tribal society, any pledge would encompass the agreement of the head of the influential tribes such as those in Anbar and Ramadi and so on. Not only was this absent, but a number of these tribal heads have distanced themselves from IS entirely. Finally, some have made the claim that Islamic jurisprudence recognises that a leader who comes to power through force and implements Islam should be considered as legitimate. This is an inaccurate claim; the actual viewpoint is that if after an aspiring ruler takes power by force and is subsequently accepted by the people, at the point of being accepted and taking a pledge of allegiance from the people he can be considered the legitimate ruler, despite his actions in coming to power remaining sinful. In other words, his legitimacy is not a result of power projection, but rather is derived from the resulting consent of the people. As pointed out earlier, IS neither fully control the land nor do they enjoy consent. Mahan Abedin – On what (if any) theological and/or jurisprudential grounds can you declare a declaration of caliphate illegitimate? Reza Pankhurst – Foremost, if the entity is not established upon an Islamic basis even if it proves to be a viable state. For example, if the leader of one of the larger Muslim countries declared himself caliph while retaining a constitution that declared it a nation state. Secondly, if the people did not display their consent to the appointment, then like any other Islamic contract which requires mutual agreement, it would be considered illegitimate. It should also be noted that if the contract was carried out by a small group of people who were not representative of the “people of influence”, then the declaration would be void as it would not fulfil the necessary conditions of one of the contracting parties. Finally, even if the previous elements mentioned were all in place – a viable state, and the people were content with a certain candidate to be the caliph – if that candidate did not fulfil the agreed upon conditions of the Imam then the declaration would also be void as one of the contracting parties (in this case the ruler) was invalid. Mahan Abedin – IS presents a radically sectarianized jihad and resulting Islamic state. Besides the obvious problems this creates, to what extent (if any) is this methodology an aberration from the Islamic standard? 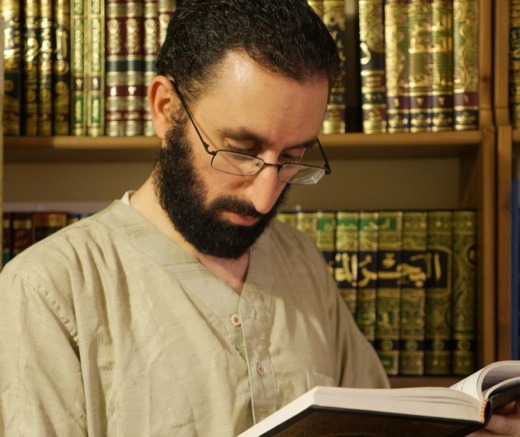 Reza Pankhurst – The Islamic state is a non-sectarian state. Its basis is Islam, and its citizens are treated on the basis of Islamic law. This means that non-Muslims are welcome and have a role to play within that state, as was the case at the time of the Prophet who established a state in Medina and surrounding area where the majority of inhabitants at the time were not Muslim. It also means that the state should not be sectarian. Originally the sectarian division of Muslims as Sunni, Shia and other groupings emerged largely as a result of political differences, later developing into opposing theological positions. Historically the more sectarian the leadership of the various Islamic states became, the more internal schisms and problems occurred. However, it should be noted that IS is one of the symptoms and not a cause for sectarianism in the region. The roots of sectarianism and its current manifestation in the Middle East are largely as a result of the establishment of a system of government in Iran that claims to be Islamic but is founded upon a nationalistic and sectarian basis, and its competition for influence with the monarchy of Saudi Arabia which historically derived its legitimacy from a sectarian Sunni basis. We see this being played out in Syria and Iraq, and also recently in Bahrain and internally in both Saudi and Iran, with both sides stoking up sectarian tensions to conceal a geo-political struggle based upon national interests. In Bahrain, anti-regime protests were labelled as a Shia sectarian uprising in order to legitimise the ruling family and justify Saudi intervention. In Syria, the anti-regime protests were labelled as anti-Shia from the beginning in order to legitimise the Assad regime and its brutal response, while allowing Iran to justify direct intervention on the side of a bloody dictatorship upon a sectarian basis. This is despite the fact that Twelver-Shia historically considered the Alawi sect that Assad belongs to as being outside of Islam, and that the Syrian government was secular and Ba’athist in any case. In all these cases, there is a cynical exploitation of sectarian differences to legitimise giving support to regimes lacking in legitimacy and popular support, which inflame tensions and potentially result in becoming self-fulfilling prophecies. In addition, the role of international actors in encouraging sectarian differences cannot be ignored, with local divisions historically being encouraged to allow for greater external influence and interference. American intervention in Iraq and the creation of an effectively confessional constitution being the most obvious recent example. Mahan Abedin – IS prioritises the agency of violence in its approach to politics and state building. How does this conform and/or conflict with Islamic customs and norms? Reza Pankhurst – Jihad is part of the foreign policy of the Islamic state and it has classically been considered a matter of liberation from oppression. The use of force internally can also be justified as a last resort against rebellion, in the same manner that it is necessary for any state to maintain its unity and security. These points are different from the matter of IS, or for that matter any other militant group in the region. The resort to arms in Syria, Iraq and elsewhere is not the result of theological understandings and considerations. The same can be applied to al-Qaeda internationally. The resort to arms has come as a reaction against the continued imposition of regimes lacking legitimacy which brutalise their own populations through the use of intrusive internal state security. Therefore, in Syria the resort to arms cannot be divorced from the fact that a sizeable segment of the population found no other option other than recourse to armed struggle, particularly given the brutality with which the Syrian regime dealt with peaceful protests back in 2011. In Iraq there were widespread protests against the Maliki regime in several areas as a result of perceived exclusionary policies. It is a result of these circumstances that have allowed a group like IS the opportunity to institutionalise to the current point. With respect to the question of IS specifically, much of their violence has been aimed at other armed factions in Syria. The apparent consensus among several intermediaries who attempted to reconcile between these various factions is that IS was not interested in reconciliation and preferred to remain belligerent. Therefore, there are serious questions on the role of the group in undermining the revolution there, and specifically whose interests they serve; it is worth noting that the Syrian regime has previously largely avoided conflict with IS while it was involved in infighting with other groups, recognising that such internal schisms in the opposition was in their interests. IS’s actions indicate that they have no real aim of state-building as evidenced by the absence of efforts to reconcile with those who would be considered putative allies. While some may point to precedence in Islamic history where local rulers would use military force to impose themselves in order to unite disparate factions – such as the case of Salahadin among others – these events took place in the context of the leadership within existing state entities. This is a separate question from armed militias with no firm authority over a state seeking to impose themselves upon others. At this point it is worth linking back to the first question – by claiming to be a state – IS is trying to claim that legitimacy and justification to fight other factions and bring them under their “rule”. Mahan Abedin – In view of prevailing global political and strategic realities and norms, is it possible to adopt the “correct” methodology in pursuit of caliphate? Reza Pankhurst – A major problem – and this extends beyond IS and covers the armed groups generally – is one of lack of distinction between the role of armed struggle and politics. While a group may be successful on the battlefield, this does not necessarily translate to being capable from a political perspective. What is required is that political groups with clear political programs have to take the lead politically, something that is a perpetual problem in a situation of an ongoing internal conflict that we are witnessing in Syria and Iraq. Mahan Abedin – Beyond knee-jerk reactions, what should be the considered response of prominent Islamic groups and establishments to the IS declaration? The first is to reject any invalid declaration. This has occurred almost universally. The second is to detail the reasons why the declaration is invalid. Numerous individuals and groups, across a spectrum of Islamic thought, have made statements which clarify these points. But it is the third response which is the most important, and can be viewed as an opportunity by those individuals and movements who adopt the call to the caliphate as a serious political project. This response is to provide a detailed vision of the caliphate, its structures, institutions, and the role it would play in taking care of the affairs of its citizens and how it would interact to promote Islam in the international arena. In doing so, this exposes the hollow declarations whether by IS, or various individuals and groups who have claimed to be the caliph over the past few decades (and there are more than one). If the vision becomes well known, and clearer in the minds of the masses, any other programme which tries to take advantage of the growing popularity of the idea of a single unified Islamic state will also be judged according to this standard. I would personally not be surprised if after the IS “state” falters and dissipates as a footnote in history, that other claims may be made – such a coalition of the various monarchies in the region who elect a “caliph” and claim the “caliphate” to bolster their own flagging legitimacy in the face of intensifying demand for better governance in the region. It is very important that groups and individuals who believe in the caliphate have this detailed programme, such as the literature of Hizb ut-Tahrir which includes the detailed constitution for a coming caliphate, in order to prevent or deter the call for a caliphate remaining as a vague aspiration that can be manipulated by others. It is also required to make it clear that the caliphate is not some kind of unattainable or idealised utopian dream, but rather is the realistic and required political programme of Islamic government. Without achieving this clarity, the path to its re-establishment will surely be more difficult to traverse.